With this new cool innovative product champagne lifestyle with convenience the Led Charger Stands ResortCharger, your customers can now charge up at their convenience and will never worry about their electronics running out of charge during their visit. Capable of charging up to 4 devices at once, your guests can now take their time and relax without constantly looking at their device's battery life. At night, you can simply press a button to turn on the blue LED's to add some brilliance to your locale. with a cool led stand now in style have your bubbly on ice and never miss a call because of low battery, led champagne charger for your establishment. 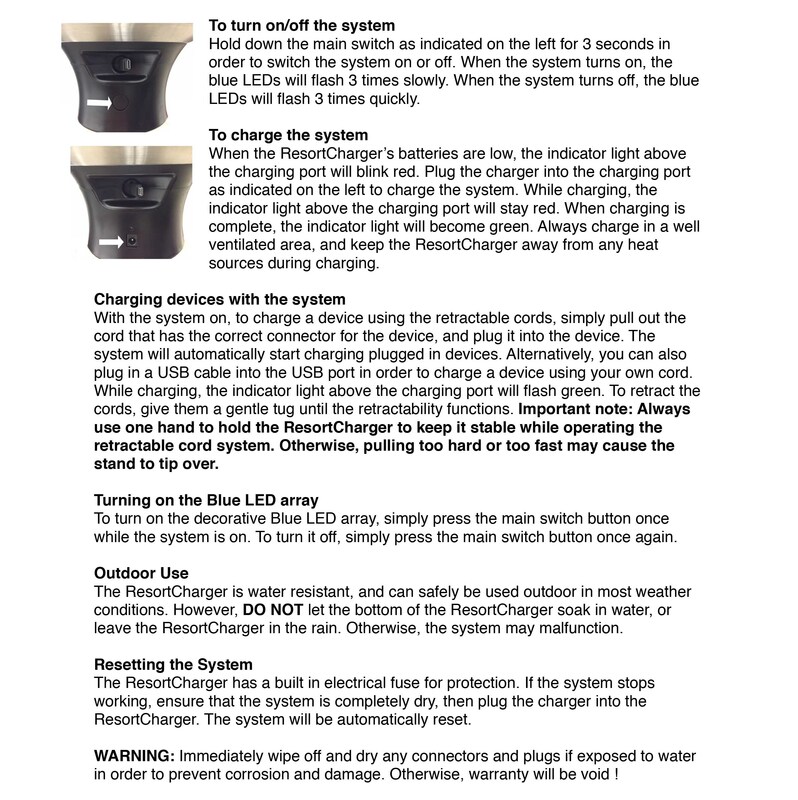 The LED Charger Stand - ResortCharger comes with one charging stand, one drinks bucket, and a charger for the stand.